Lesson 16 in Paul Krugman's Masterclass is 14 minutes and 16 seconds long. In this lesson, Krugman makes an interesting observation and then puts third world sweatshops into perspective. In other words, Krugman actually lectures like an economist in this edition of his course. To begin with his observation. he points out that not that long ago merchandise was sent by ship in small boxes and it was extremely labor intensive to load and unload such shipments and track where everything was going. He points out that, with the advent of large box containers, shipping became much more efficient. He notes that the outside of every such container there is a barcode and indicating what is in the container where it is supposed to go. He then states, and he has a very strong point, "the standardized freight container is a transformative technology." From there, Krugman talks about third world sweatshops and makes some excellent points. 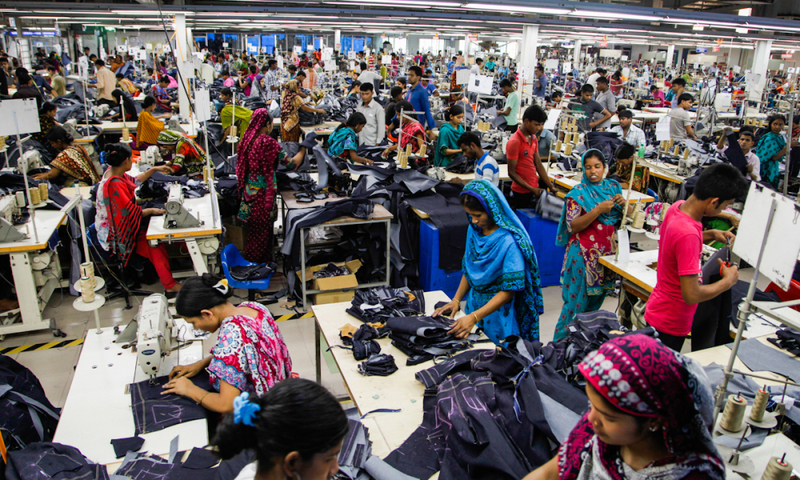 He notes that in Bangladesh, for example, clothing workers may only make 40 cents an hour. But then he adds that what must be asked is, "If we stop buying what is made in sweatshops, what will happen to the workers?" And his correct answer is that things would be worse since they wouldn't even have the 40 cents an hour jobs. The rise of apparel exporters from third world countries has been a very good thing for the point of view of humanity. It has raised people from the brink of famine to a level of poverty that is higher. Of course, this is Krugman so he does end the lesson by saying that "trade has been a contributor to inequality." And then spends another minute or two discussing the distorted problem of inequality, without distinguishing inequality which is the result of cronyism from the inequality of those who amass great wealth because they serve consumers. Exactly. My response to anyone who is for abolishing sweatshops is to say, "those workers were doing something else before XYZ company opened that sweatshop. I don't know what they were doing, but whatever it was it was something they voluntarily left because the sweatshop work was preferable -- and now you want them to go back to that?? And you call it compassion?"